And now for something completely different, for this group at least – we all play good guys! 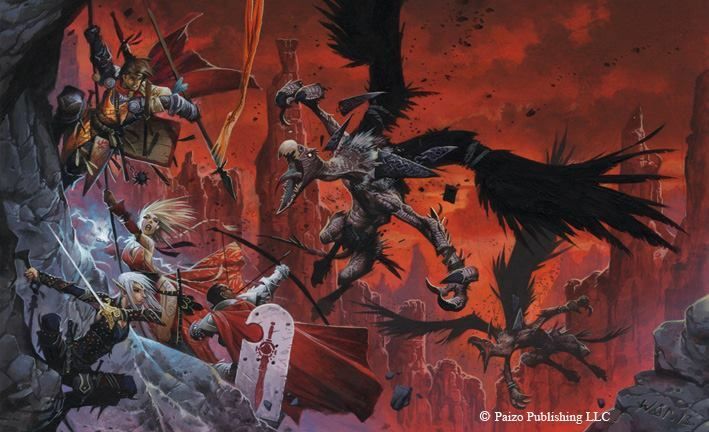 Hearken to the tale of our group playing through Wrath of the Righteous, the Paizo Pathfinder Adventure Path where we all play crusaders trying to drive the demonic incursion of the Worldwound from Golarion. Kenabres is destroyed by demons and we’re tossed into the Darklands, emerging to live the exiting life of Third World refugees. We take the battle to the demonic forces of the area with our very own army-o-paladins! And we sack the citadel of Drezen. Now that we have a foothold, we RIF the heck out of the local demonic villes. Let’s go mess with Nocticula, the demon queen of whores and assassins, on her level of the Abyss! Time to go conduct a home invasion on Baphomet. Serves him right. Back to the Abyss to thwart Deskari and close the Worldwound! Core/APG and other stuff OK, Ultimate Magic and Ultimate Combat off limits. 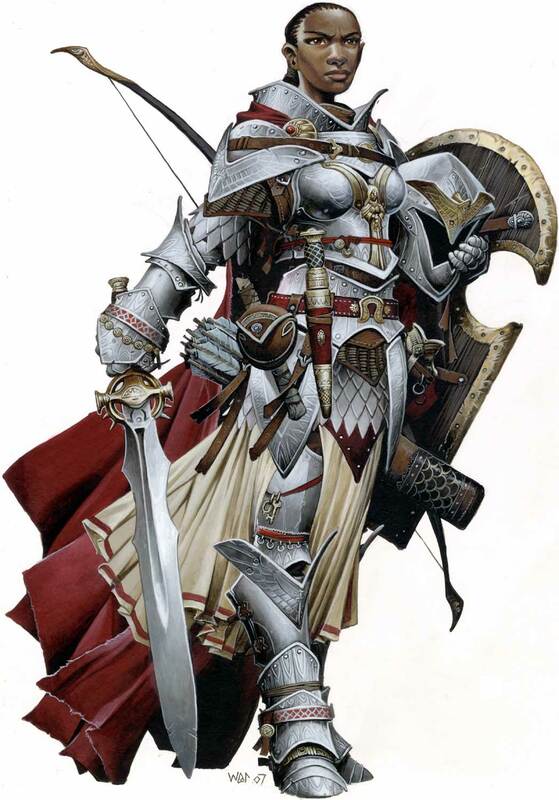 We all understand that we should play good characters, and since there’s demons around, as much paladin/cleric/etc as we can lay into it, the better. We know this is going to go very high level and also go… Mythic! Mythic Adventures is a Paizo ruleset where you get kinda demigod powers as you go on, but it’s not restricted to high levels like the old 3.5e Epic rules, you can get them during normal levels of play. More details and character sheets you say? Sure! 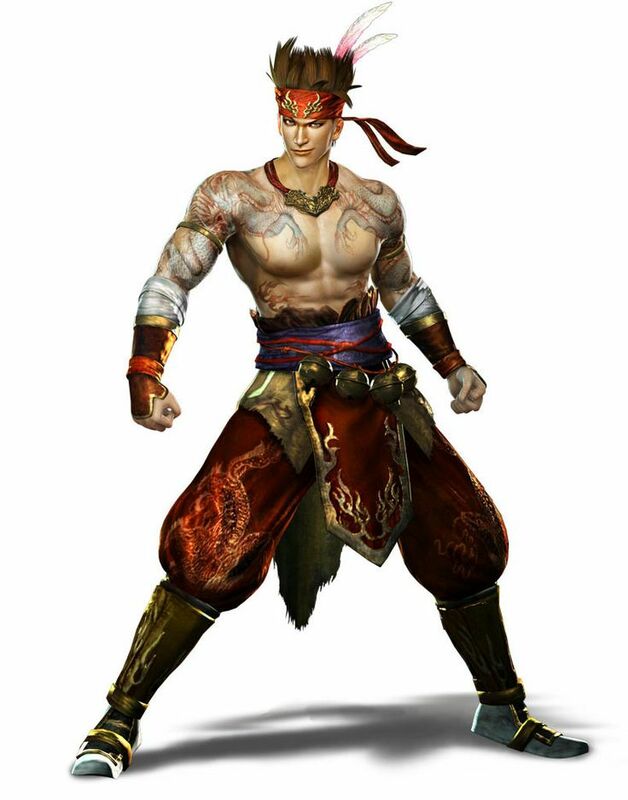 Antonius is Tien, but dressed in Chelaxian leather armor. He has a pair of black leather cesti at his belt. His ethnicity is quite uncommon in Kenabres, so he draws a lot of attention from the locals. He has been staying in the Crusader camps outside the city. The camps are fairly rough-and-tumble, full of young men eager to fight demons and older men demoralized by their experiences fighting demons. Tsuguri is also Tien, the very picture of the spear-wielding Tsukiyo (a foreign god). The Chiba family has a compound in the city, originally established as a trading outpost. Tsuguri’s parents joined in the Fourth Crusade, showing the kind of stubbornness that is really required to live in Kenabres on the front lines of the struggle. He is intent upon joining the ranks of the crusaders, to carry on his parents’ legacy. He is shocked that Antonius dishonors his ancestors by dressing as one of the locals. Tabregon is a half-elf out of the River Kingdoms. He has also been staying in the Crusader camps, trying to support himself by healing Crusader horses. He looks like he has traveled a long distance, but not in a manner befitting a gentleman. 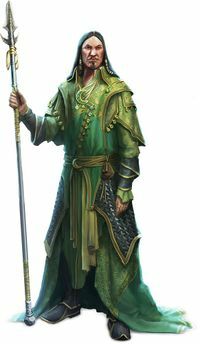 Trystan is another River Kingdoms half-elf, and a Paladin of Shelyn. Trystan and Tabregon met on the riverboat Sellen’s Fortune during the journey up the river to Kenabres and immediately bonded as two half-elves from the River Kingdoms, both of them touched by divinity, right up until they realized they were devoted to different gods. Shawanda is extremely well-built in a Grace Jones sort of way. She wears shiny scale mail and has big scars down her back. Given her cheerless faith in Iomedae many conclude that they are from self-flagellation, but they actually are reminders of a childhood demon attack. Her family lives in the city. Calanthe is aasimar (a woman with a partly angelic heritage), able to draw upon sorcerous power thanks to her descent from Shelyn. She is an enigma to the others. She was raised by dwarves, which leads to some interesting life choices.